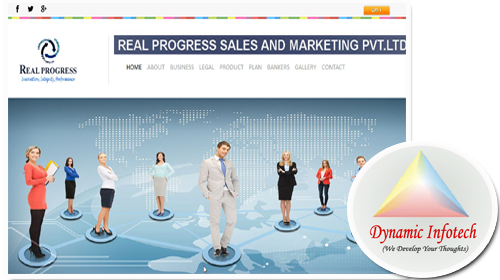 ﻿ Nidhi Software Rs.40,000|Registration Rs.12,999 Call:08218862887| Welcome to Dynamic Infotech nidhi software company . nidhi software company Company in Bareilly ::IT company in Bareilly, IT services company , IT services company in Bareilly, Digital Signature in Bareilly, Credit Cooperative Society software in Bareilly, N.B.F.C in Bareilly. Software in Bareilly, NBFC software in Bareilly, Nidhi Company software in Bareilly, FD/RD software in Bareilly, Non Banking Financial Companies software in Bareilly, MLM software in Bareilly, Credit Cooperative Society software in Bareilly, Nidhi Company software in Bareilly, Non Banking Financial companies software in Bareilly, MLM software in Bareilly, Dynamic Infotech, Website Design and Development Company in Bareilly, Web Design Bareilly, Website Design in Bareilly, Web Designer in Bareilly, Software Company in Bareilly, Export House Website Design in Bareilly, Multi Level Marketing (MLM), Website and Software Design in Bareilly, RD FD Website and Software Design in Bareilly, Matrimony Portal Design in Bareilly, Real Estate Website Design in Bareilly, Online Shopping Portal Design in Bareilly, Search Engine Optimization in Bareilly, Domain registration in Bareilly, Brochure Design in Bareilly, Website Maintenance Services in Bareilly, Website Development Company in Bareilly, Bareilly. 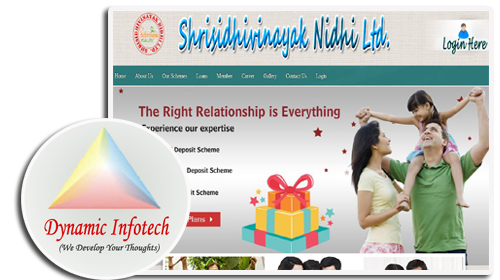 Shree Siddhi Vinayak Nidhi Ltd.
SSV Nidhi Ltd. is a mutual benefit Company moving on the business of a non-banking financial organization. It is a non-banking financial company doing the business of lending and borrowing with its members or shareholders. The government has set up law for the Security of the deposit in the company to which the cradle is with authorization necessary. SSV Nidhi Ltd. is fully complied with capital satisfactoriness norms set by the government. The Primary objective of our organization is to cultivate the habit of savings among our members. 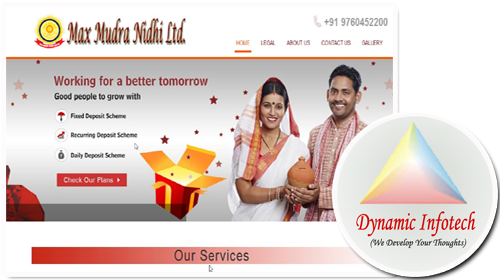 The Max Mudra Nidhi Limited is Financial Company in sitarganj .The Company started its business with great enthusiasm and dedication which made the Company one of the leading Nidhi Company in India. Max Mudra Nidhi Limited, is one that belongs to the non-banking Indian Finance sector and is recognized under section 620A of the Companies Act, 1956. Their core business is borrowing and lending money only between their members. They are also known as Permanent Fund, Benefit Funds, Mutual Benefit Funds and Mutual Benefit Company. 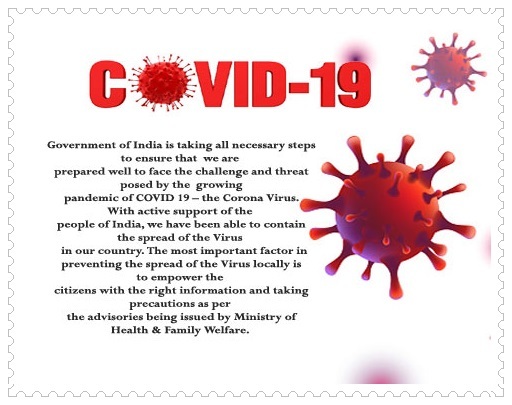 It is regulated by Ministry of Corporate Affairs. Reserve Bank of India is empowered to issue directions to them in matters relating to their deposit acceptance activities. However, in recognition of the fact that these Nidhis deal with their shareholder-members only. 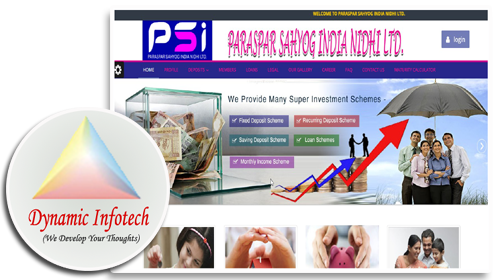 Paraspar Sahyog India Nidhi Ltd.
PARASPAR SAHYOG INDIA NIDHI LTD., Incorporated under company act 2013 , under Nidhi Rules2014, by the innovative leadership of inspired professional s in this revolutionary market trend. A company declared as a Nidhi (NBFC) under section 406 of the Companies Act,2013 . Nidhi have many features which make them stand distinctly apart from many other Non-Banking financial institutions who are working under the guide line of R.B.I Nidhi Companies Registration To start a Nidhi Company in India the first step is to incorporate a Limited Company, under the Companies Act, 2014. 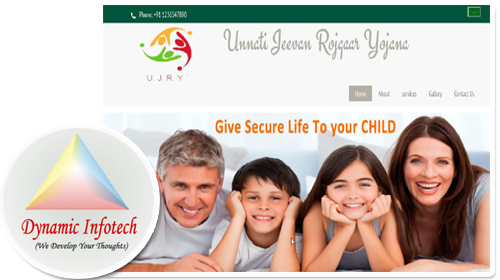 Unnati Jeevan Rojgaar Yojna is aprivate limited company registered under the Companies Act 1956 . This company mainly deals in providing online services all over India to all our business associates at the same prices, which we all are availing in our lives in routine, the detail of which is mentioned under the head 'Operative Services' and the company is striving hard to provide all-most all the available marketable services in the market.Independent distributors develop their organizations by either building an active customer base, who buy direct from the company, or by recruiting a down line of independent distributors who also build a customer base, thereby expanding the overall organization. Additionally, distributors can also earn a profit by retailing products they purchased from the company at wholesale price. Real Progress Sales & Marketing Pvt. 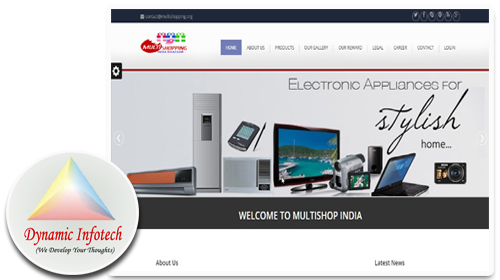 Ltd.
Real Progress retail private limited company registered under the Companies Act 1956 .. This company mainly deals in providing online services all over India to all our business associates at the same prices, which we all are availing in our lives in routine, the detail of which is mentioned under the head 'Operative Services' and the company is striving hard to provide all-most all the available marketable services in the market. The services, which are in the offing in the very near future are being mentioned under the head 'Services in the Offing'. One of the biggest strength of MULTI SHOPPING INDIA BAAZAAR is the unparalleled quality of its World Class Products which offer excellent value for money. MULTI SHOPPING INDIA BAAZAAR products are environment friendly, biodegradable, and not tested on animals. One distinct advantage for the independent representative is low overhead. The affiliate does not have to keep inventory on hand. Most orders are taken either online or through a campaign of catalog distribution. The affiliate takes these orders and combines them into a single large order from the company. India wakes up with tea every morning. It is the drink that enlivens, energises and rejuvenates the mind and the body. It is the drink that binds people across cultures. 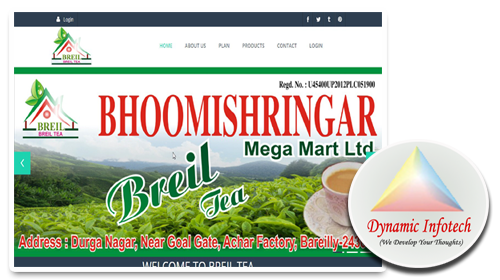 This is why Breil tea has lined up a wide range of tea blends to match the needs of a diverse tea-drinking nation and the different "tea cultures" that are an integral part of the country's socio-cultural fabric. From the valleys of Assam to the hills of Darjeeling, our promise of bringing the freshness and strength to each cup of tea can be experienced in the brew of all our brands.